How long will my products last for? The products will last for 3 days if stored correctly, so it is important to keep all products sealed and refrigerated. If you order a 5, 7 or 9 day cleanse for delivery, we'll make 2-3 deliveries to you to ensure that the products are fresh. If you're picking up in-store, you should pick-up your products every 2-3 days. Please contact us online if you have any questions regarding allergies and we'll do our best to accommodate you, including modifying recipes to exclude certain ingredients or swapping products. However, there is always a chance of cross-contamination as all of our products are prepared in the same location. Why is my juice "low tide"? All products will last for at least 3 days if refrigerated and sealed. It is important to shake each drink before consumption.  Our products are all natural, preservative-free, additive-free and contain whole fruit & vegetables. Natural ingredients change subtly according to growing conditions so your drink may not look the same as last time. This is natural and doesn’t affect the nutritional benefits of the drink. Some green vegetables naturally contain more saponins and insoluble fibre. Saponins are amphiphilic which means they tend to ‘self-aggregate’ and this separation produces froth. Over time, the froth settles and your drink may appear low-tide. Rest assured, all drinks are filled to the maximum when made, so this is just a natural settling process. Raw soups contain digestive enzymes & heat sensitive vitamins that cooked soups don't. Our soups are high in fibre and low calorie with all the health benefits you need, especially while cleansing. You can have them cold or heated (a little). If your taste buds prefer, just add a little salt, pepper and/or chilli flakes . Juice cleanses are an easy way to re-set the body. Longer cleanses (around 7 days) definitely help you kick bad habits. Most people notice some weight loss (if they are carrying surplus) along with reduced bloating & abdominal heaviness after following one of our cleanses such as the My Revitalisation. Restricting calories allows the digestive organs to rest, while nutrients are still fueling your daily needs. For those aiming for slow, sustainable weight loss, the 5:2 Fast Diet is a great option. Slow, steady and incremental weight loss is the safest way to lose weight. We have compiled 2 days per week juice program specifically to stay under 500 (for women) and 600 calories (for men). This program is for long-term and sustainable weight loss and requires months of calorie restriction, depending on your weight loss goals. Our cleanses are designed to keep your appetite at bay whilst giving you sustained energy. However if you often overindulge and consume larger portions, you may feel a little hungry. We find it often a game of mind-over-matter and the hunger usually passes. Try drinking water, going for a walk, calling a friend or finishing a work project. Your hunger should disappear without any food being consumed. The longer you cleanse the easier it becomes as your body quickly adapts and adjusts. The first few days are usually the trickiest. If you need to snack, however, ensure it is clean, raw food such as in-season fruits and vegetables. We suggest snacking on some fresh berries or vegetable sticks such as green beans, mushrooms, carrots or celery. But I love my coffee! If caffeine is a close friend of yours, life will be easier if you wean yourself off it a few days before starting the cleanse. Store-bought coffee tends to have higher caffeine than what you might make at home or in the office. Naturally, you’ll be avoiding all caffeine during the cleanse, except small amounts of coffee in My Vitality. If you notice symptoms of caffeine withdrawal during the cleanse, have a cup of green or black tea (like English Breakfast) and symptoms should disappear. Whilst cleansing, it’s important to stay hydrated with water to help the body flush out toxins. Carry a bottle with you to ensure you drink enough. We recommend around 2 litres a day for women and 3 litres for men (extra for exercise or heat). Remember to sip slowly and consistently throughout the day for cellular hydration. Can I exercise as usual? Listen to your body. Try to avoid high intensity, long lasting exercise. We recommend doing 30 minutes of light exercise a day whilst completing our cleanse or diet programs. Exercises such as gentle yoga, easy walking and light weights will stimulate lymphatic flow to help get toxins moving. How will cleansing affect my bowels? Our blended juices retain all the fibre of the whole fruits and vegetables and are valuable in normalising bowel motions. Some of our cleanses also include meals and snacks that are high in fibre. If you already suffer from constipation, this should alleviate during the cleanse. Remember to sip on water throughout the day and increase gentle exercise to keep things moving. If you already suffer from diarrhoea, the fibre should help bind up watery stools. Have a look through our online menu and add the items you would like to purchase to your cart. When you're finished browsing, click the cart icon ( ) at the top-right of the page and you'll be taken to the checkout. From there, you'll be able to choose whether you would like to pickup your items or have them delivered. After filling in the information, you'll be able to click the "checkout" button. Yes, for delivery, the minimum amount is $50 and for pickup it's $15. Can I cancel my order once it's submitted? If you wish to cancel your order, please contact us. Please note that no refunds will be given in the event of a change of mind for online purchases. We will, however, do whatever we can to assist if this situation occurs. If you would like to change your order and contact us with at least 1 days' notice before your products are due to be made, Juiced Life may, at its discretion, offer to exchange your products. If you're already a member, we'll automatically credit the points for your order to your account using the email address you supplied on the order - there's no need to login first. If you're not already a member, we'll contact you about joining after you place an order. If you join (for free) you'll still receive the points for the order you just placed. You can spend your points anytime in any of our stores, or contact us (via the web chat or contact form) if you want to spend them online and we'll send you a code to the value of your points that you can use during checkout. At the checkout, you will be able to enter your payment details. We accept VISA, MasterCard, PayPal, POLi and Afterpay. Alternatively, if you have accumulated enough points through Juiced Life purchases, you can spend these instead. Please see our refunds page for more information regarding refunds. Can I have my products delivered to me? Yes, we do offer a delivery service to the Sydney, Wollongong, Melbourne & Adelaide metro areas as well as the Coastal Illawarra region. We deliver on Monday, Wednesday, Friday and Sunday, and you can choose your area and preferred day at the checkout. If multiple cleanses or products are ordered at the same time, we will deliver them together. If you require them to be delivered separately, you must create separate orders for each one. Can I have cleanses delivered to me? Yes, we also deliver our cleanses. Please keep in mind that, due to the perishability of our products, we may need to make multiple deliveries. A one or three day cleanse requires only a single delivery, however, a five day cleanse requires two deliveries and a seven or nine day cleanse requires three deliveries. The shopping cart will calculate this for you automatically. In Sydney, we deliver between 11am-4pm on Monday, Wednesday and Friday, and 3pm-9pm on Sunday. In Melbourne, we deliver between 2pm-6pm on Monday, Wednesday, Friday and Sunday. If you wish to have your products delivered outside of these hours, please contact us and we will do our best to accommodate this. Please note that we do not deliver on public holidays. While we do everything within our power to ensure timely delivery, external factors like weather, traffic, freight, etc. may affect your delivery time. What if you deliver when I'm not at home? If you're not home at the time of delivery, we will leave your products at your house. The products are raw and unpasteurised and must be kept cool, so if you won't be at home, please leave a cool box with ice outside and we'll place the products inside. Please refrigerate the products as soon as you can; they should not be left unrefrigerated for more than 2 hours. Can I track my products? Yes, our drivers use a tracking service so that you can see roughly when they will arrive at the delivery address. We will send you notifications by SMS and email with the delivery and tracking information when we are on the way to you. Can I pickup my products instead? Yes, if you would prefer to pickup your products rather than have them delivered, that's fine. You can choose a store, date and time that suits you at the checkout. Please note that, if you order a cleanse which lasts more than three days, you should collect your products every two-three days. If you would like more information about in-store pickup, take a look at our Delivery and Pickup page. The addresses and opening hours of all our stores are provided here.